Why Were The Petitions Filed In The First Place? In a latest, an attempt by news agency Press Trust of India (PTI) to abuse law, misusing its position and money, was thwarted as it was forced to withdraw its petitions challenging three interlocutory orders of a lower forum in a higher court. The flip flop came as the workers made a strong case against PTI, alleging the news agency had attempted to mislead the court by committing a fraud. PTI had approached the High Court in the national capital New Delhi challenging three identical orders of a lower forum which debarred its advocates from appearing as news agency’s representatives. But the workers pointed out that the news agency had not approached the court with clean hands and that it had misrepresented relevant facts and circumstances. Following lengthy arguments in the court both in the pre-and-post lunch sessions on Feb.22, PTI realized the gravity of the situation and swiftly withdrew all its three petitions. 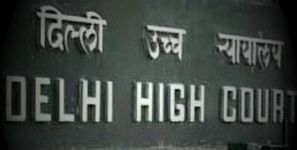 The news agency had actually tried to make out that its advocates Anurag Ranjan and B. K. Singh, though practicing advocates, were appearing in the disputes with the workers before Delhi’s Industrial Tribunal-II as officers of an Employers’ Association which the workers’ side could not validly object as per the provisions under Section 36 of the Industrial Disputes Act, 1947. But the workers’ side contended that not even a prima facie case had been made out for the entitlement of the representation of PTI through its advocates and that the tribunal had rightly debarred them from appearing before it. And finally, the counsel appearing on behalf of PTI requested that he may be permitted to withdraw all the petitions reserving liberty for the news agency to file appropriate application under Section 36 of Industrial Disputes Act, 1947 for permission of the Labour Court for appearance of company’s advocate as authorized representative of PTI, in view of which the petitions were dismissed as withdrawn. 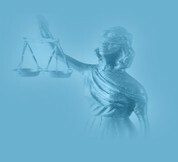 20.05.2009: Learned counsel appearing on behalf of the Petitioner prays for more time to file rejoinder. Let the rejoinder be filed as a last opportunity within four weeks. List on 9th October, 2009. Interim order to continue. 09.10.2009: Mr. Vinay Sabharwal learned counsel appearing on behalf of the petitioner requests for time for filing of his rejoinder to the counter affidavit of the respondent. Rejoinder be filed within three weeks. LCR be requisitioned for the next date. List on 22.02.2010. Might be. Not unusual, given the way he RULES.